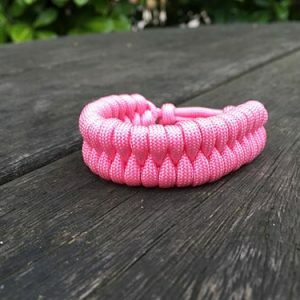 550 US Paracord actually called Harley makes up these great looking paracord bracelets. 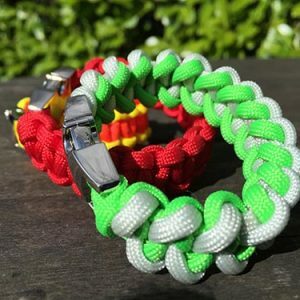 Band Size Choose an option5.5"-6.5"Medium 6.5"-7.5" MOST POPULARLarge 7.5"-8.5"X-Large 8.5"-10"
They are supplied as standard with the black nylon side release buckle, or you have the choice of a mirror finished chrome buckle, or a stainless, or black shackle. 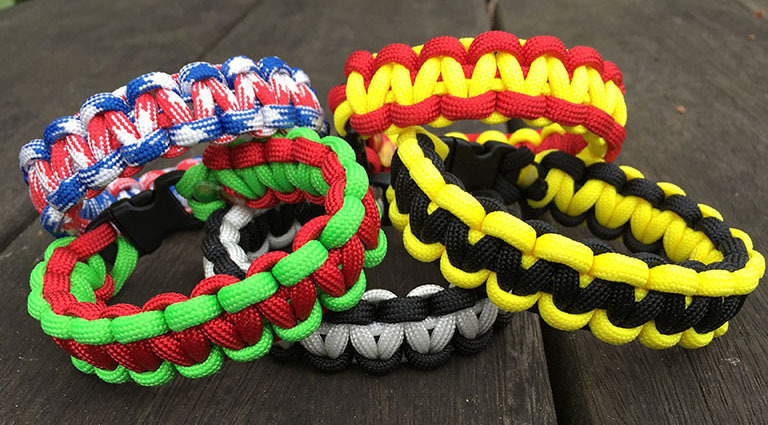 These Harley paracord bracelets are a real header turner if you are into your bikes. 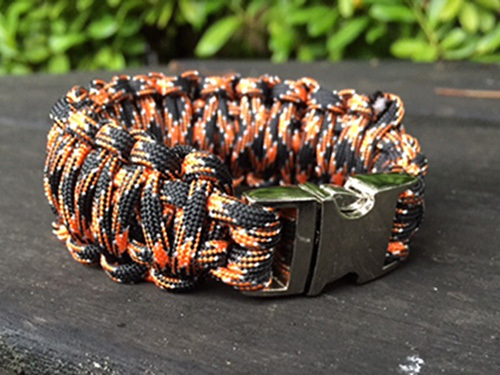 There are a choice of styles, along with your buckle option. 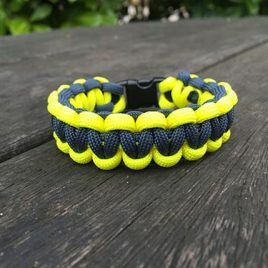 Choose the ‘stripped out’ version if you fancy something slimmer. 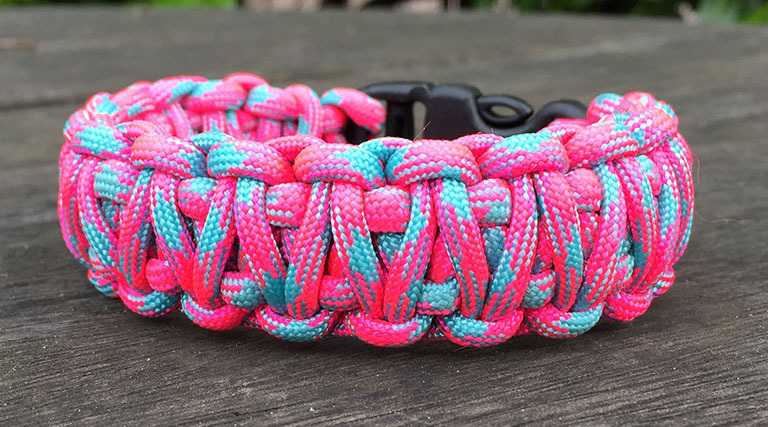 Ideal for the ladies, or for those with thinner wrists. Stripping out the iner strands still leaves you with a 250lb breaking strain outer sheath. 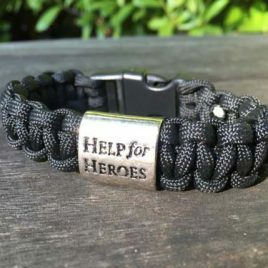 5.5"-6.5", Medium 6.5"-7.5" MOST POPULAR, Large 7.5"-8.5", X-Large 8.5"-10"
Made in the traditional cobra weave this great looking wristband is fitted with a silver sleeve engraved with Help for Heroes. 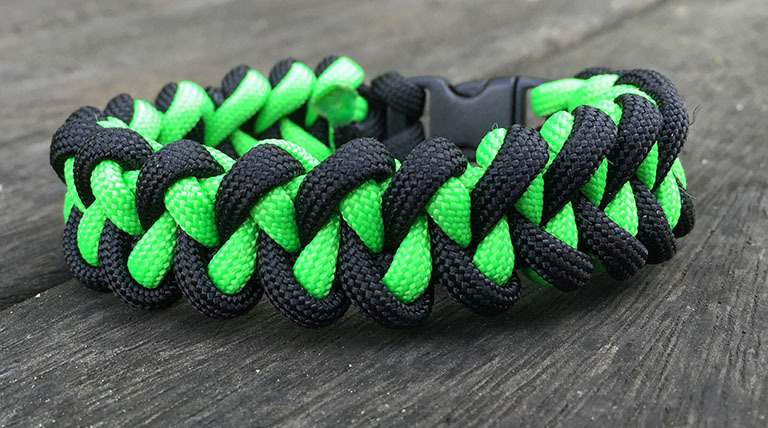 The 550 Paracord comes direct from the USA We donate profits from this wristband to the Help for Heroes Charity. 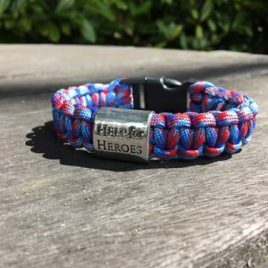 Made in the traditional cobra weave this great looking wristband is fitted with a silver sleeve engraved with Help for Heroes. 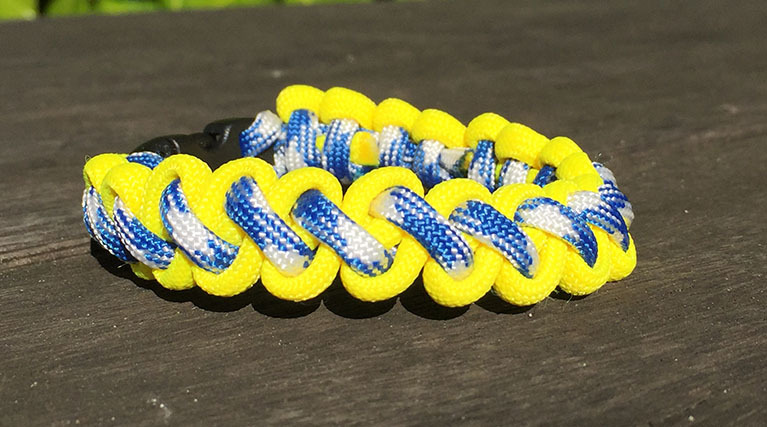 The 550 Paracord comes direct from the USA in the H4H colours. 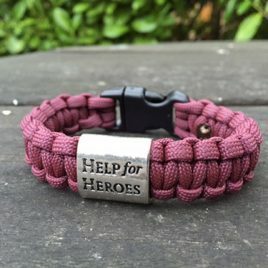 We donate profits from this wristband to the Help for Heroes Charity.